Tanzania is an East African country known for its vast wilderness areas. They include the plains of Serengeti National Park, a safari mecca populated by the “big five” game (elephant, lion, leopard, buffalo, rhino), and Kilimanjaro National Park, home to Africa’s highest mountain. Offshore lie the tropical islands of Zanzibar and Mafia Marine Park, where whale sharks swim through reefs. Its population is 49 million people and GDP per capita of USD 694. Tanzania has led a robust multi-sectoral effort to tackle AIDS, malaria and tuberculosis through prevention, care, treatment, and support services. Tanzania had an impressive national scale-up of antiretroviral treatment, which resulted in a tenfold increase in the number of patients enrolled in treatment from 2005 to 2012. Over 26 million mosquito nets were distributed through the vouchers scheme, under-5 and the universal campaign. The rates of tuberculosis detection and treatment have increased dramatically, and TB deaths are declining. However, challenges remain. Tanzania has a high HIV prevalence, and the rate of HIV infection is high. Malaria is the single most significant disease in Tanzania, and the country has the third-largest population at risk of stable malaria in Africa. TB continues to be a major public health problem, more than 20 years after launching the national TB program. 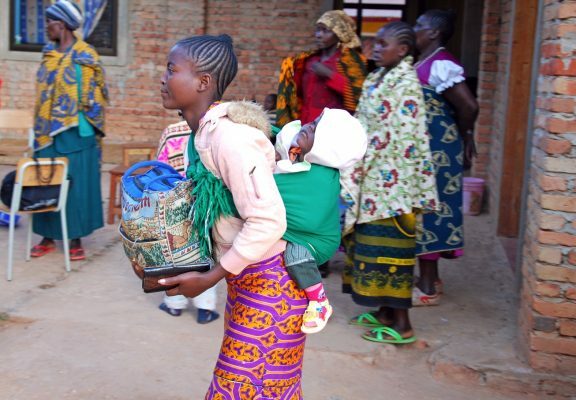 The rapid increase of TB in Tanzania is mainly attributed to the HIV epidemic, but factors like population growth and urban overcrowding have also contributed. Prevent, control, and reduce communicable diseases, with emphasis on the broad range of diseases that affect the health of the Tanzanian population (vector-borne, STI, HIV/AIDS, diarrheal diseases, respiratory infections, tuberculosis, emerging diseases, including resistance to antibiotics, vaccine-preventable diseases, and leprosy). The steering role of the Ministry of Health and Social Welfare (MHSW) and the different levels of the Health System strengthened.